Will be introduced in August 2016. The fourth generation Nissan Serena went on sale in Japan in November 2010, and thus, is over five years old. 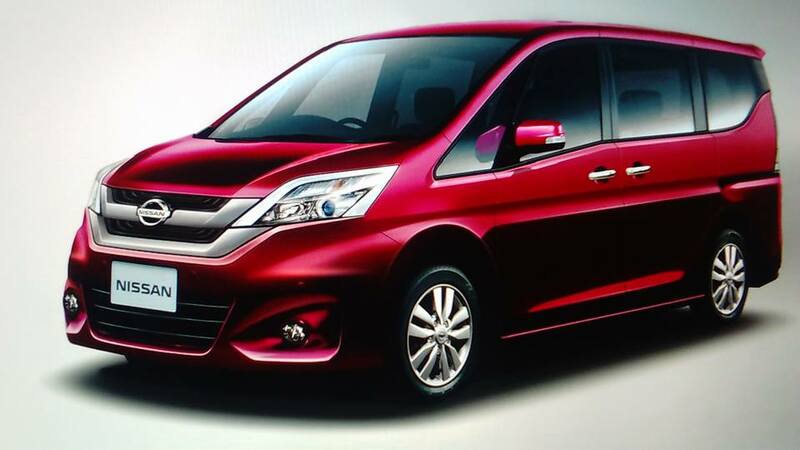 The fifth generation Nissan Serena, expected to launch later this year, is currently under development and is being tested on public roads, spyshots have revealed. Aside from Japan, test mules have been spotted in the USA too, where the current Serena isn't sold. The 2017 Nissan Serena will go on sale in Japan in September 2016. 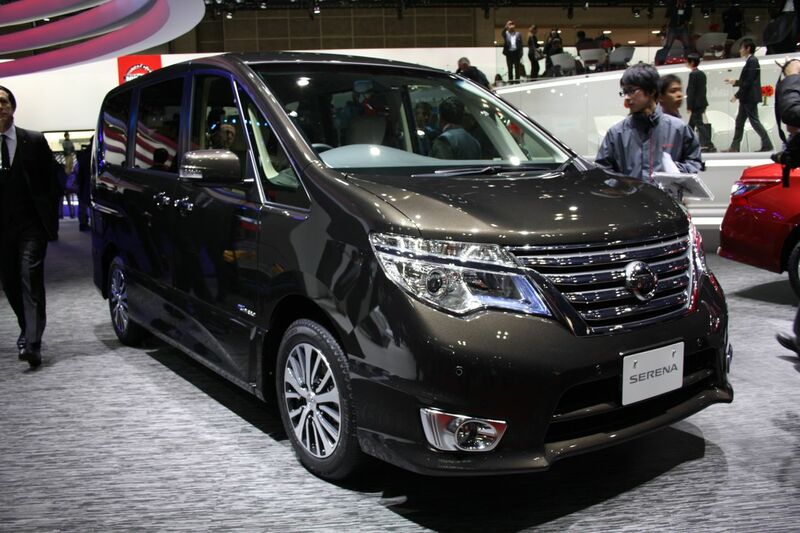 According to a report on livedoor Blog, the 2017 Nissan Serena will be announced in August 2016 and go on sale in September 2016 in Japan. The 2016 Serena measures 4,685/4,770 mm in length, 1,695/1,735 mm in width and 1,865/1,975 mm in height, and has a wheelbase of 2,860 mm. In comparison, the 2017 Serena will measure 4,690/4,755 mm in length, 1,695/1,745 mm in width and 1,865 mm in height. The 2017 Nissan Serena will be available with two-tone exterior, with red and black being the signature scheme. Other features/changes mentioned in the report are automatic sliding door, cap-less fuel filler, thinner A-pillar, three interior schemes and Panasonic 9-inch infotainment system. The 2016 Nissan Serena is powered by a hybrid powertrain consisting of the MR20DD 2.0-litre petrol engine and the SM23 electric motor. The report doesn't say anything about the powertrain of the 2017 Nissan Serena, but does mention that it will have a fuel economy rating of 17.2 km/l (JC08 test cycle). The 2016 Nissan Serena has a hybrid powertrain which consists of the MR20DD 2.0-litre petrol engine that produces 108 kW (147 PS/144.77 hp) and 210 Nm of torque in the the 2WD models and 106 kW (144 PS/142.09 hp) and 207 Nm of torque in the 4WD models, married to the SM23 electric motor generating 1.8 kW (2.4 PS/2.41 hp) and 53.6 Nm of torque. The XTRONIC continuously variable transmission is standard across the range.